Ms. Lacombe, your approach to portrait photography is often described as the unmasking of the subject’s personality to go beyond what people see at the first glimpse. How does that process work? I am interested in photographing the person as bare as possible. This means that I do not want to arrive at the shoot with a concept or with an idea. I don’t want to put people into special situations, ask them to do specific things, or act a certain way. I try to do with a minimum of hair, make-up, and styling – or with none at all. Also, I put people in a very neutral place in terms of the décor. If I can I will use a neutral backdrop or a simple wall. I often prefer working with daylight. Do you also keep the team around you as small as possible? The team is very discreet. I try to stay by myself and my assistants are very quiet on the side. I want every shoot to become like the two of us are now: just one-on-one, looking at each other and having a moment and an exchange that does not have anything to do with any of the distractions or the protections that you get with having a costume, props, and everything. That is easier to do than to be just your bare self. Do you try to get to know someone a little bit before you take a portrait? For example, Annie Leibovitz apparently visits people for half a day before taking a portrait or Martin Schoeller tries to pick music that he thinks will go well with his subject. No, they are both very different to me. I try to have nothing and to stay without any preconceived idea or plan. I only exercise control by making the set completely empty and bare. This is also a way to control the situation, but almost the opposite approach. Do you know immediately when you have taken a good portrait? Is there a split second when you press the button and you know you have made the shot? Yes. Mostly you know when you have caught the moment. Sometimes I feel like I did not do well enough. It then becomes really hard to live with yourself, because you feel you could have done better. But often, as you live with the images, you realize that there is a moment in them and you overlooked it because of some tension or agitation you had with yourself at the time. But mostly you recognize it when it’s there. There are some people that you have photographed many times over the years, like Meryl Streep or Miuccia Prada. Is your process different when you shoot someone that you know well? Yes, it’s interesting and very different. I have always followed people I am interested in over years and I keep making portraits of them. That intimacy that I am always looking for develops immediately with someone like that. It’s a given, because you have the person’s trust. You are always looking for something that you have not done before, but by the nature of it being several years later the person has changed. Basically, I am not doing anything but recording what I see. How are your friendships connected with your professional life? My work and my life are the same thing to me. I don’t have a life on one side and work on the other side. My entire life has been my work. I don’t have a family, I am by myself, I have made very strict choices. Like, no kids. I am not so interested in possessions, either. So really I am either working or I am sleeping – there are not many things in between. That’s what I do and everything is folded into that: my friendships and love stories. I have always been within the world of my work. Do you think your very personal approach is why many people like working with you? 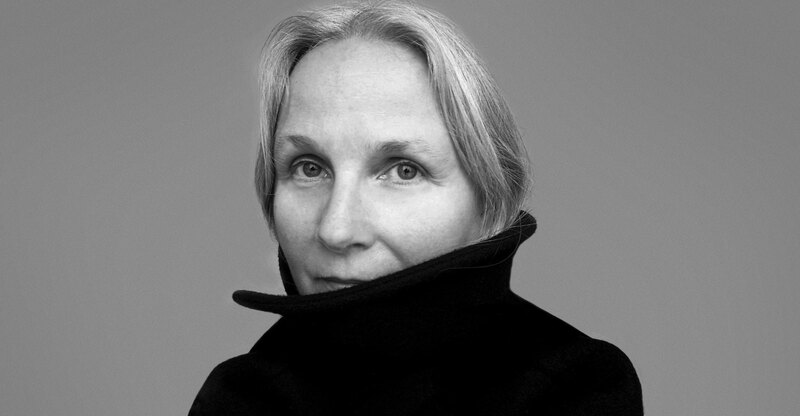 Miuccia Prada, for example, is known as a very private woman who rarely lets anyone take her portrait. In her case our relationship has developed into a very real friendship. She is one of the people that I love and admire most. I get along with people who are reluctant to be in the public eye, but who need to be because of what they do for a living. It’s more comfortable for them to be photographed by me than it would be by somebody else. Because they can trust you? Yes, everything is very private. I control every image coming out of our studio. There is a dimension of trust in everything in the way we operate. This suits people that are very private themselves. Does your subject’s profession influence your portrait? I don’t think so. I think a good portrait is a good portrait. And there are so many different ways to do a portrait. For me this has no influence because I am always looking for the same thing. I don’t think I shoot someone differently if they are an actor, or a designer, or even a politician. I approach the people as people that I am interested in. I propose a lot of my assignments. I have eliminated a lot of people that I am not so fascinated by and I photograph people I am interested in. But doesn’t it matter what they do, what they stand for? Yes, absolutely. That’s why I don’t do fashion anymore. I was not interested enough in just physical beauty, perfection, and youth. I want to be interested in the person and what a person does. The world around you has changed a lot over the years. Today designers and fashion stand for a different thing than they did 30 years ago. That’s true. I find Miuccia Prada makes the most interesting product in the fashion world. I don’t see it as fashion. It’s more connected with architecture, art, and politics. For me it’s a whole and not only fashion, although of course it is fashion. My interest in fashion is through her, because she is bigger than fashion. Scorsese is another person that you have access to like nobody else. I’ve been so lucky to be, in a sense, adopted by Martin Scorsese. I am the only one who is allowed to shoot on his set throughout the process of filmmaking. I go in and out depending on the film scenes that I would be interested in. He loves what he does and he is totally passionate. He is a joy to be around. You said before that you are either sleeping or working. Do you always have a camera with you? Yes. I take pictures all the time. It’s alarming, really. I mean, I wish I could stop! I take snaps of everything, like taking notes. It became a way to look at the world. It’s a very different way to see life.